Top lawmakers say they have reached a deal to fund the government through the fall, a deal that would resolve ongoing disputes over immigration and — if signed into law by President Trump — stave off a partial government shutdown set to start Saturday, the Washington Post reports. The details of the deal itself appear to still be in flux. A source briefed on the deal told TPM that the rough agreement cuts the number of detention beds available to the Immigrations and Customs Enforcement agency for undocumented immigrants, a point demanded by Democrats, and adds some money for new physical barriers at the border to please Republicans. According to the Washington Post, the deal cuts the total number of detention beds from 49,000 to 40,500, and gives $1.375 billion for border barrier construction — short of the $5.7 billion Trump has previously demanded. Good response. I believe AIPAC and the Israeli government deserves all the criticism and condemnation they can get, and such is not anti-Semitic. Rep. Walter Jones Jr. (R-NC), who made it his mission to atone for his vote sending U.S. troops into Iraq in the early 2000s, died Sunday on his 76th birthday, the Raleigh News & Observer reports. Steve Schmidt, who is advising former Starbucks CEO Howard Schultz on an independent presidential bid, abruptly walked off his own podcastwhen co-host Adam Levine pressed him on how Schultz could actually get the 270 electoral votes he needed to win, the Daily Beast reports. 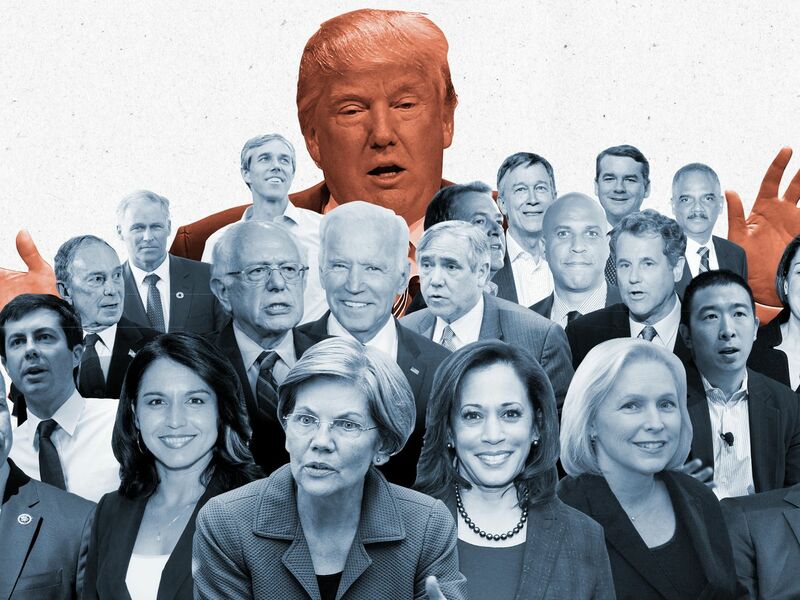 Sen. Amy Klobuchar (D-MN) “leapt into the 2020 presidential race Sunday, becoming the first Midwestern state official to join the field taking on President Trump,” Politico reports. A draft resolution calling for the impeachment of Virginia Lt. Gov. Justin Fairfax (D) has been circulating among Virginia Democrats over allegations of sexual assault, and might be introduced as soon as Monday, Reuters reports. At least four staffers associated with Virginia Lt. Governor Justin Fairfax (D) have resigned after news broke that a second woman came forward with sexual assault allegations against him on Friday, the Richmond Times-Dispatch reported Monday. Two of his government aides resigned –Adele McClure, his policy director and Julia Billingsly, his scheduling director — as well as two staffers with his PAC, We Rise Together, executive director Dave Mills and fundraiser Courtney McCargo. A new Pew Research poll finds 53% of Americans think it is generally unacceptable for a white person to use makeup to darken their skin to appear to be a different race as part of a Halloween costume, including 37% who say this is never acceptable. Meanwhile, 34% say this is always or sometimes acceptable. Rep Omar did or said absolutely nothing she needed to apologize for. “Muslim woman mentioned money when referring to a Jewish-centric organization!!! You can see the same thing happening with Reps Tlaib and Ocasio-Cortez. Women of color, who dont fit the white-liberal mold are being “put in their place” by soon-to-be extinct fossils. Am noting that Rep. Oma’s comment got way more attention and condemnation that that of the GRIFTUS and his offspring mocking the genocide of Native Americans, too. Still astonishing that so many are invested in the GRIFTUS’ criminal activity. Agree with Ben, Rep. Omar said nothing but the truth, as noted this is an AIPAC game to show their power and control of the establishment Dems. Aunt Nancy Included. As for Virginia it’s a mess with no easy answers, as ever what we really need is better Dems, there and here.